Rent The Florida House Inn | Corporate Events | Wedding Locations, Event Spaces and Party Venues. 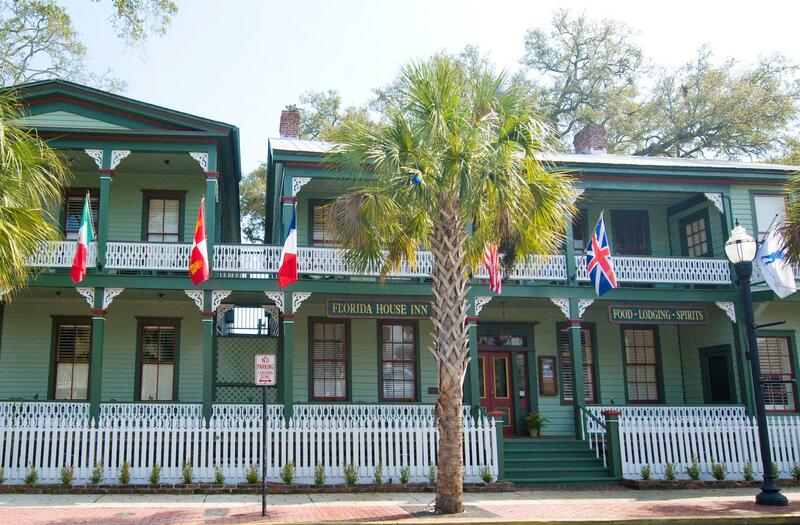 The Florida House Inn is located in the historic distict in downtown Amelia Island, Florida. The inn is the oldest continuously operated hotel in the state of Florida. The Florida House Inn is located in the historic distict in downtown Amelia Island, Florida. The inn is the oldest continuously operated hotel in the state of Florida. We offer 17 guest rooms with a bridal suite, inside dining and brick paved courtyard that can hold up to 200 guests, a full catering kitchen and staff, full liquor license with an inside and outside bar, private parking lot for wedding guests and in house coordination and flower services. The courtyard is very unique and charming with a 350 year old live oak tree and a one of a kind mermaid fountain, a trend seen throughout the inn. A few words to help describe the inn would be southern, charming, intimate, vintage, romantic, rustic and historical.